Tension is mounting as elections approach in Sudan, with analysts, candidates and voters concerned about potential violence in flashpoint areas in the South. 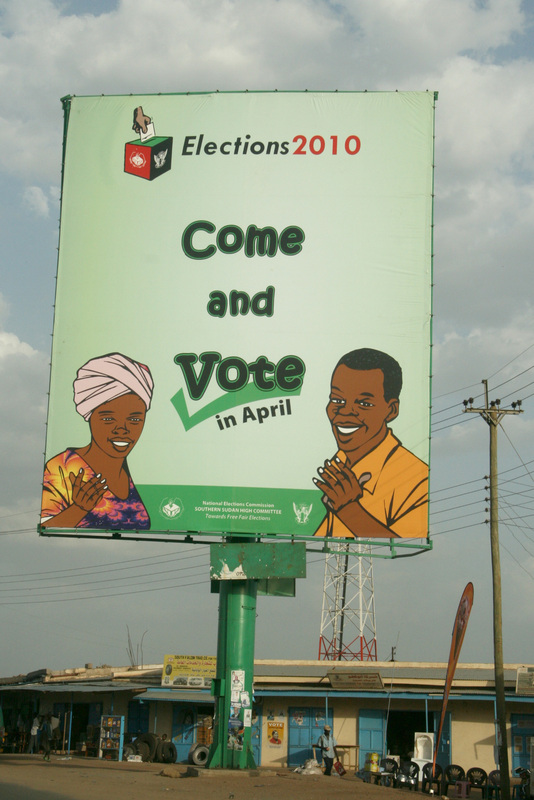 The elections due in April are a key part of the 2005 Comprehensive Peace Agreement (CPA) that ended Sudan’s 22-year civil war. “We are worried for what happens when the votes are announced,” said former soldier William Kong at an election rally in Bentiu, capital of the oil-rich Southern Unity state. 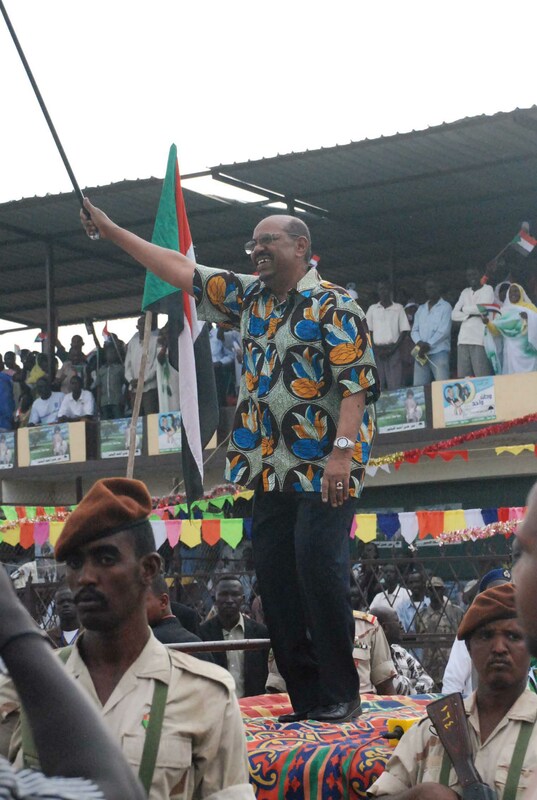 The election, the first multi-party ballot for 24 years, will pitch the ex-rebel turned ruling party in the South, the Sudan Peoples’ Liberation Movement (SPLM), against former enemies in the North, the National Congress Party (NCP). Across the semi-autonomous south, several erstwhile key supporters of the SPLM have rejected the party’s nominees, running instead as independent candidates for the powerful state governor posts, as well as for national, regional and state assembly seats. “Security is a real issue, and a major concern,” said Angelina Teny, who is running as an independent candidate for the governorship of Unity. Three days of polling begin on 11 April, with the results due a week later. Teny’s husband, Riek Machar, is Southern Vice-President and a deputy chairman of the SPLM - highlighting the complexity of the election campaigns. Loyalties are often based along ethnic or clan lines, while rivalries from the civil war run deep: an estimated two million people were killed in a conflict fuelled by religion, ethnicity, ideology and resources. “People are not used to choosing a leader peacefully or giving up power without a fight,” said Stephen Madit, a teacher in Bentiu. Despite supporting the SPLM for Southern president, Madit said he would vote NCP for national president, to ensure the two signatories to the CPA remain in power. It is a pragmatic approach many in the South seem to support - for fear of possible fresh conflict if the power balance changed. “Keeping the CPA secure is our main concern until we get the referendum,” he said, referring to the vote in Southern Sudan on potential full independence slated for January 2011. Positive steps have been taken by the signing of an electoral code of conduct by 26 key political parties, including both the NCP and the SPLM. Nine independent Southern candidates contesting governorships have also signed the deal. The code commits all signatories “to abide by electoral laws, to promote a fair electoral contest, and to refrain from all forms of violence and obstruction of other contestants”. But concern remains how far documents signed by leaders will control supporters on the ground. In Bentiu, the incumbent governor Taban Deng Gai has military forces under his direct command, according to local and UN sources. Fighting broke out in Bentiu in October 2009 between troops loyal to the governor and forces supporting Paulino Matip, a former militia leader who joined the SPLA as its deputy commander. A gaping hole still lies in his compound in Bentiu, where a tank crashed through its wall during the fighting, in which at least 16 people were killed. “If the governor [Gai] lost, he would not give up without a fight,” said Gabriel Madeng, a student. “There is a lot at stake,” he added, pointing out that the state earns a 2 percent cut of oil pumped from its soil, worth around a million dollars a month, according to finance ministry figures. But people are angry at the perceived slow pace of development. “Not enough has been done, so we say it is time for a change,” Madeng said. Levels of violence are already high in the South, with more than 450 people killed and 40,000 displaced since January, according to the Office of the Resident and Humanitarian Coordinator in Southern Sudan. Last year, more than 2,500 people were killed and almost 400,000 displaced across the south. “April’s elections could aggravate this already tense situation,” the advocacy group Enough warned in a 16 March report. It cited deep concerns for disarmament efforts led by the Southern military in areas feared to have the greatest potential for election-related violence. “Despite efforts to improve upon past disarmament disasters, current campaigns in Central Equatoria, Jonglei, and Lakes state have directly led to violence and casualties among civilians and the army,” the report said. On a more hopeful note, Sudan’s media in both regions has largely avoided inciting violence. “The number of explicit episodes of hate speech observed for this reporting period appeared relatively low and limited in scope,” stated a report by the Sudan Media and Elections consortium, a group of national and international organizations, following an assessment from 13 February to 7 March. “Most of the cases monitored were related to a vehement style of campaigning and confrontation between the main contestants, rather than on targeted calls to violence and discrimination,” added the consortium, which is funded by the UN Development Programme (UNDP). But tensions are high, and elders and church leaders have made repeated calls for calm. “It took the Sudanese people more than two decades to achieve peace,” said Paolino Lukudu Loro, the Roman Catholic Archbishop of Juba, speaking to crowds in a recent sermon.